Why do you hate having obsidian having a signal travel through it? If a torch can power it why can't the water? I would love it if you checked out my "about me" page on my profile and looked at my threads I'm always happy to see new posters. If the power transferred through every block the water touches it would make it difficult to control when used in complex contraptions as the signal will transmit to places where you might not want it. I chose obsidian to be the resistant material as its expensive and helps to balance the liquid out more. It's not quite that unbalanced given waters limitations. The way you described is actually more cumbersome than to just use the wire with a repeater. I'll demonstrate in a screen shot. I can see a lot of fun coming from this... Also, because it transmits power infinitely, I the flowing powered RCL should have a delay before powering the next one, so it's not instant. In the on state, RCL should electrocute whatever is stupid to swim in it, with the electrocuted "power" armor texture used. Server death message would be "PLAYER tried to swim in science". RCL should occur naturally in the nether, albeit rarely. Maybe flowing over lava or something, or as a geyser in lava. This natural RCL would provide 1) a reason to go the nether and 2) a really interesting oil tapping style operation. And I also have a question.... what happens to a player who tries to pick up a bucket of RCL in the on state? I know the lava bucket does no harm, but.... Also, would this stuff spread over water and magma as though they were a solid surface, or just act as water on water (diluted) and make obsidian on lava? Ha XD I really like your death idea as its pretty funny. Ok I've pondered a lot of ideas on how the R.C.L should behave when contacting other liquids and I think it should when coming into contact with water become to diluted to work and if the source block of R.C.L. comes into contact with water it will be converted into a water source block. For Lava I think it should make obsidian as water does when in its un-powered state but make crying obsidian (or cause an explosion?) when its in its powered state. hmm I'll add a poll I think. Hmmm. As to what this liquid is, I say Mercury. Straight up Hg. Being a metal, it is a fair conductor. It has a low viscosity, and should move at the same rate of lava. I would say it could extend to about 5 blocks past the source, not as far as water, yet farther than lava. 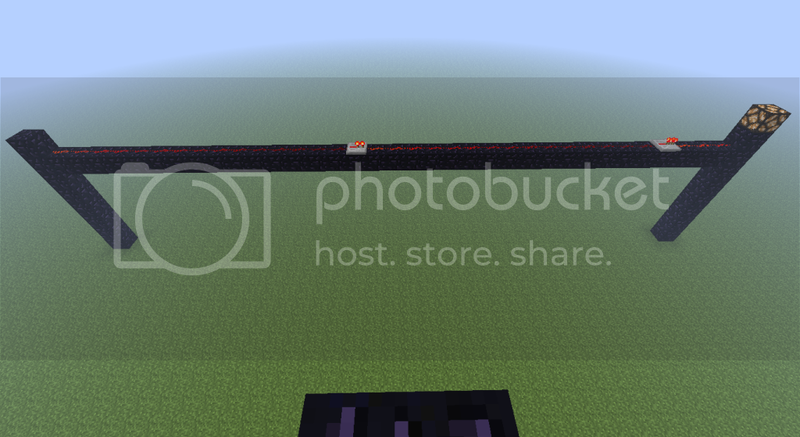 It shouldn't be able to power past 15 blocks, like redstone. The only plus I can think will come from this is instant up and down signal in a 1x1 area. It might possibly give you Mercury poisoning, but I am all for the electric shock. Sry but I don't really like the idea of it being mercury, It would make no sense for redstone to turn water into mercury and making it as such would make no sense. Also I demonstrated in a previous post that there is no reason to give it a range limit as if your trying to make the R.C.L. run horizontally it will take up a lot of space do to the drop related with water and the fact that you'd have to contain the water itself which would be resource incentive. This would be a wonderful addition, I support! This would be a good end-game item that you acquire after the dragon bossfight to give it some purpose. I really like this idea. I don't see any way that it is over powered. 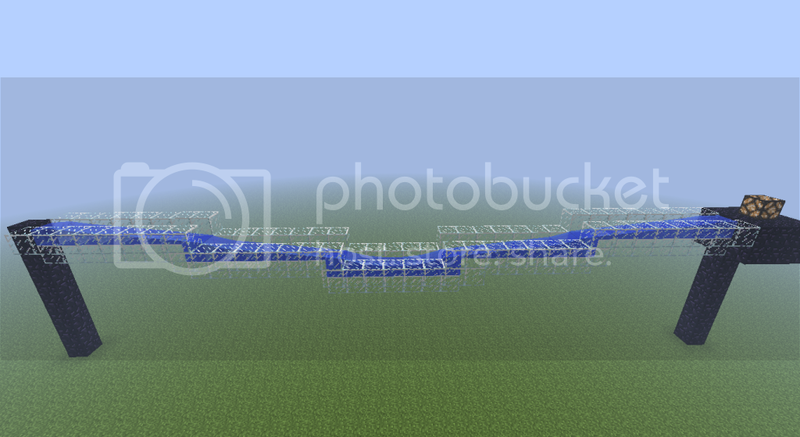 This combined with pistons(and maybe the new tripwires) has amazing potential for traps extremely hidden traps. Thanks, I can definitely see making some pretty cool traps using this as well as some really sweet red stone contraptions. 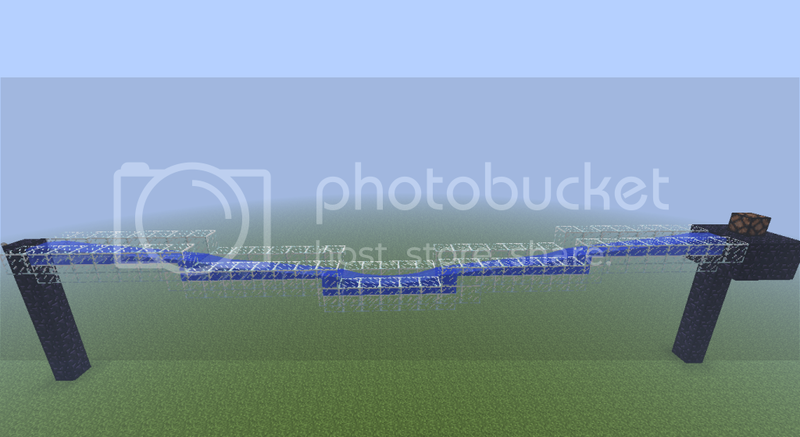 I'm getting there with redstone, and this would make my traps ALOT easier to hide. And moats in minecraft would be better! Support. Awesome! Let's bring back crying obsidian! And... what will that be used for? no idea XD probably just for aesthetics like stone brick and such. It really would, I myself am no redstone master (tho I'm not bad) I'm really interested on what a redstone master could do with R.C.L.